Prisma, the art filter photo app is all set to add a new exciting feature to its iOS app. It will support videos from now. Prisma efficiently replicates images into works of art by using deep learning algorithms. It was so attractive and interesting introduction during last summer that resulted in millions of downloads and became viral. 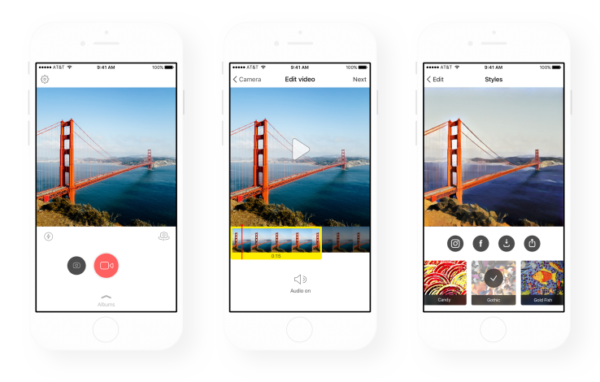 Prisma iPhone app will from now on allow its users to turn small video clips up to 15 seconds into an animation by choosing any of the nine filters. The AI algorithm will sew the content frame by frame and thus provide an animated form of the video. With your videos get the artistic layover alike your images it will be fun and interesting. The resultant motion art will be attractive. User can record video with the app itself or select one from device. But for all these your device must be running on iOS 10. The speed in which your video turns to a motion art will depend upon your network. Prisma might make a use case for animated GIF’s created from normal or usual videos. In near future it’s anticipated that Prisma will soon add the offline photo processing to their app and is expected to run in Android. Prisma video edits for Android is on talks. Prisma’s easy to use interface and the superlative results will make it more desirable than co- competitor apps like PicsArt.